Explain the steps required in dealing with a stroke and heart attack. Adult C.P.R./Foreign Body Obstruction (F.B.A.O). 2 days (Learners must first have successfully completed a basic PHECC CFR course before attending. 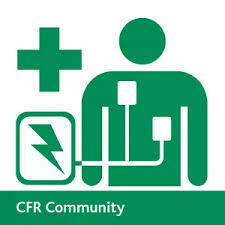 This CFR Instructor Course is delivered in the Springfield Hotel, Leixlip, Co.Dublin. On completion of the CFR Instructor course learners need to assist on two CFR Courses before being finally assessed by qualtec. Qualtec are a recognised PHECC Institution. On successful completion of this CFR Instructor course learners can then progress onto attending our PHECC FAR Instructor Course. Enjoyed the course. Thank you! Denise Lynam.